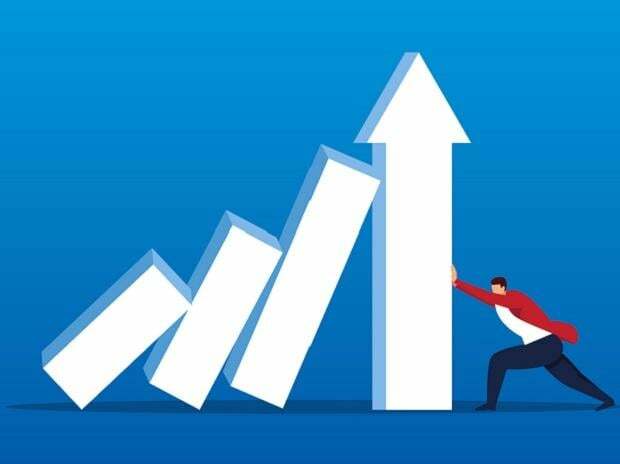 Market leader JK Paper posted a 72 per cent jump in December quarter profit to Rs 120.26 crore this year, compared to Rs 69.81 crore in the corresponding quarter last year. 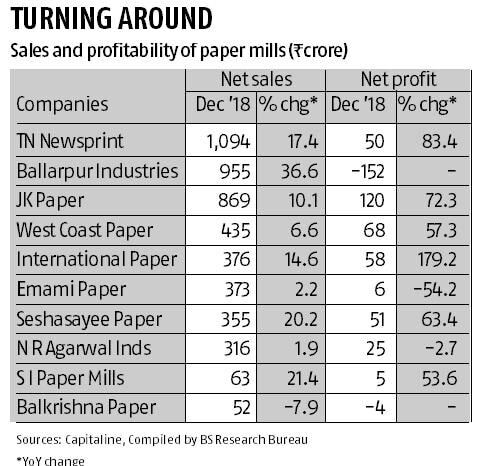 Improved market conditions have improved sales and profitability of paper mills in the December quarter with expectations of a sharp increase in demand ahead of the new academic year that will begin in Q1, FY 20. Meanwhile, specialty paper manufacturer Yash Papers Ltd plans to invest Rs 200 crore to expand their production capacity by 30 per cent to 150 tonnes per day and also doubling its paper products’ manufacturing capacity to 20 tonnes from the existing 10 tonnes. The commercial production on these plants with expanded capacity is set to commence in March 2020. A Care Ratings report said that India’s share in global demand is growing as domestic market increases, while demand is developed nations is muted. The domestic demand of paper and paper products grew from 9.3 million tonnes in FY 08 to 17.1 million tonnes in FY 18 at a compounded annual growth rate (CAGR) of 6.3 per cent. The domestic per capital consumption is little over 13 kg, below the global average of 57 kg. The growth triggers include rising income levels, growing per capita expenditure. The capacity utilisation levels and projected demand have caused companies to start building out additional production capacity. The paper industry, however, continues to face challenges such as access to quality and cost competitive raw material and competition from imports.